Wheather you want to record your favorite radio station or the video game music playing on your Mac, Soundflower is the most popular option out there. For the unknown, Soundflower is a software that helps you route sounds to any Mac app instead of the default speakers. I’ve been using Soundflower for the past 3 years and never had any problem. However, after the latest macOS updates, the recent version of Soundflower has stopped working on Seria and High Seria. 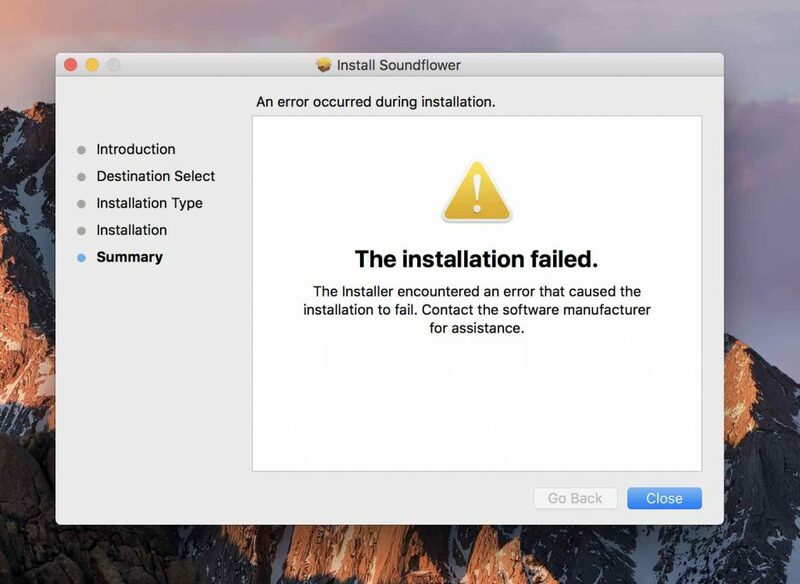 If you download Soundflower setup from Google, you are most likely to get Soundflower installation failed error. So, why do we get Soundflower Installation Failed error? However, his solution didn’t work for me. Thankfully after a bit of research, I was able to dig in the kext signed version from the developer. Follow the steps. 1. Download the signed version of Soundflower using this link. 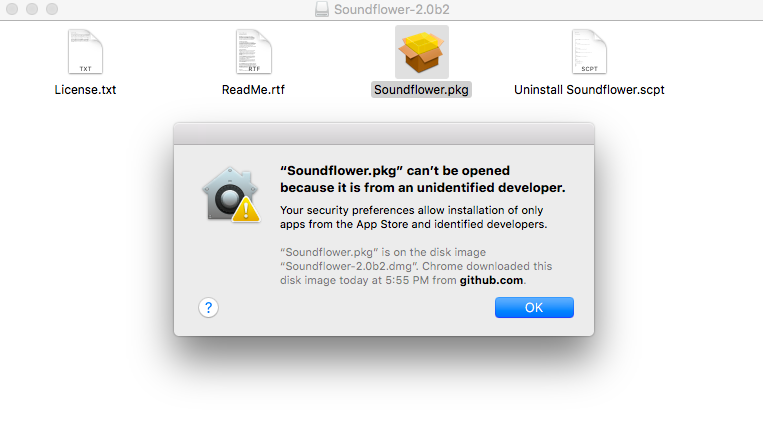 Download the file that says “Soundflower-2.0b2.dmg” and install the dmg on your Mac like you install any other app. 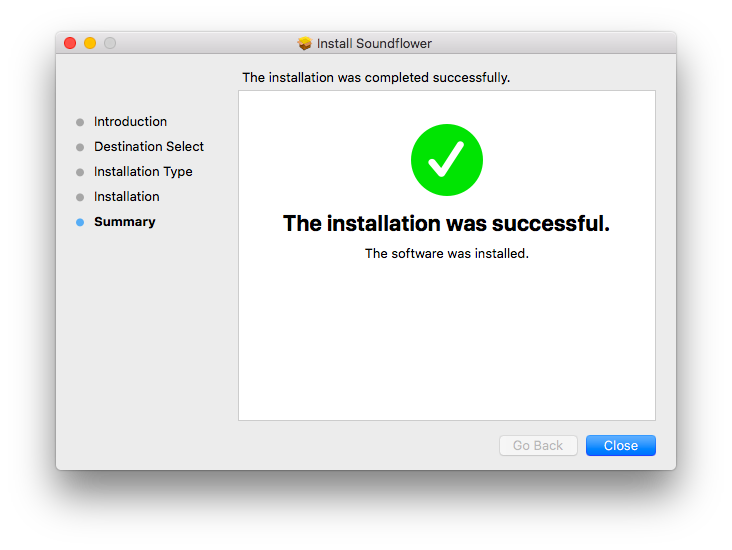 Simply, run the Soundflower package installer by double-clicking on the pkg file. Depending on your macOS setting, you might see an error from GateKeeper. 2. To bypass it, you need to temporarily disable GateKeeper. 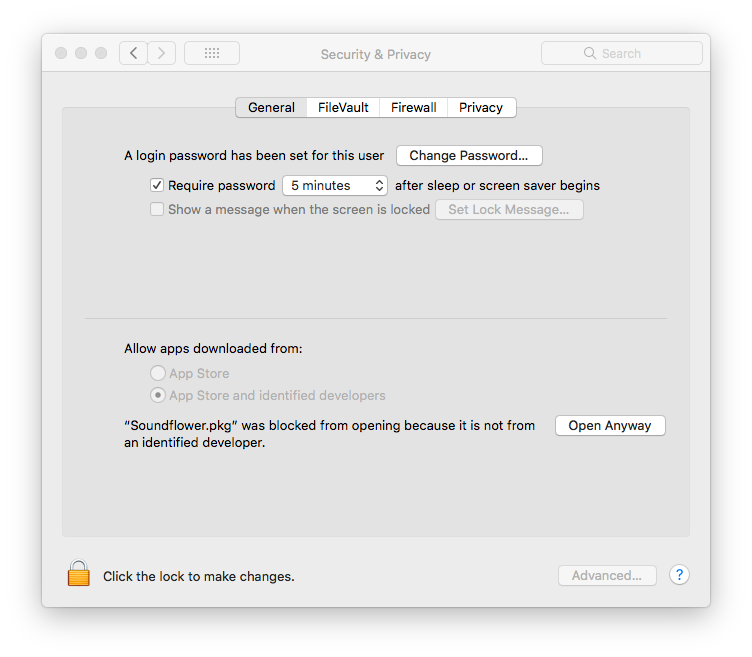 Go to System Preferences choose Security & Privacy and then click the General, next, to make any changes you have to click the Padlock icon in the bottom left corner to unlock the settings. Next, click on Open Anyway, next to Soundflower.pkg was blocked. 4. 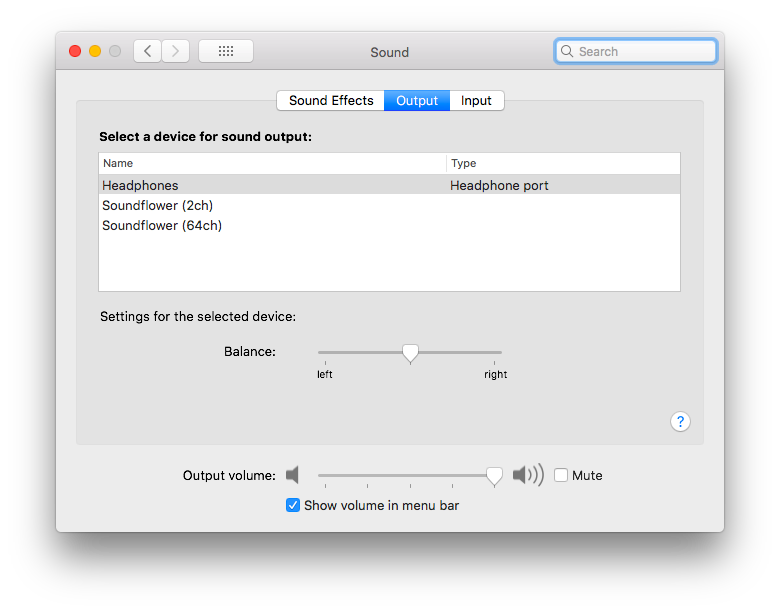 Now, open System Preferences on your Mac, select Sounds, switch to the Output tab and set Soundflower (2ch) as the device for sound output. A quick way to test if Soundflower is working or not is by start playing any audio file, while Soundflower is ch2 is select for output. You shouldn’t be able to hear anything. 5. Now, open Quicktime or any audio recording software. 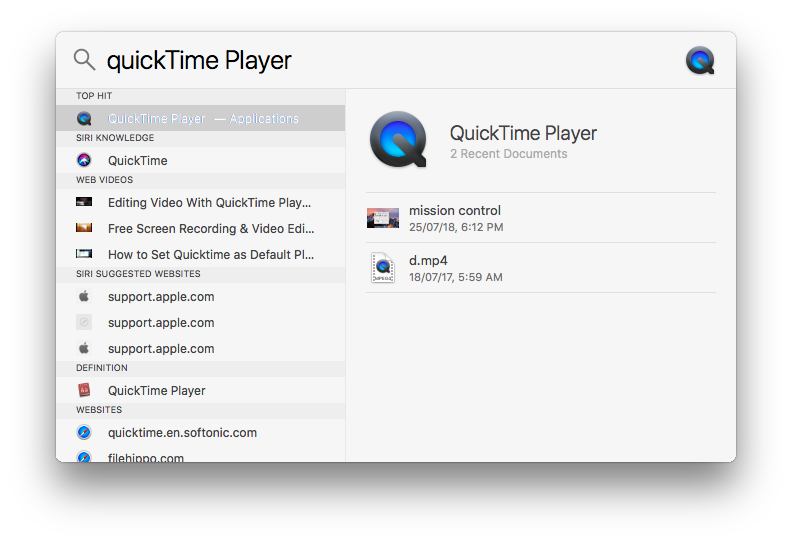 QuickTime allows the Mac user to play movie files, but it can also be used to record screencast and audio. Since it’s free and built-in, we’ll use it for this instance. However, if you want more control, you can use a free app like Simple Recorder. We use it and it works fine. 6. 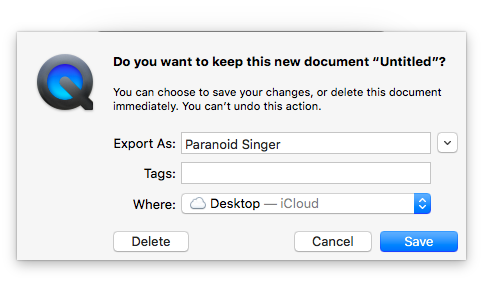 Go to File and choose Audio Recording, a new window will pop-up. Click on the drop-down arrow next to the recording icon and set the audio source select Soundflower ch2 and start audio recording. 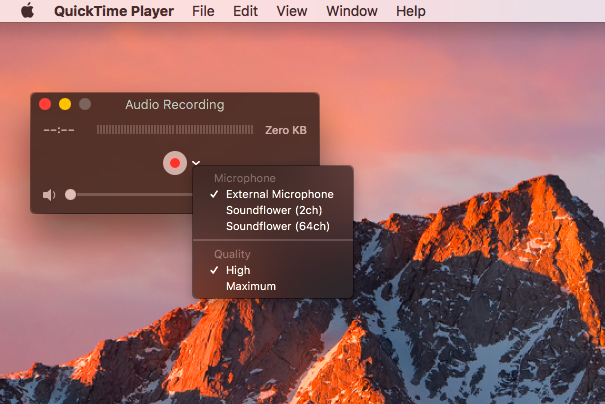 you won’t hear anything but your Mac’s internal audio will record in the background. The only downside is, you can’t hear want’s being recorded, so make sure you place close attention to the timestamps of the audio you want to record. Once you are done, simply click on the stop icon on QuickTime icon to stop the recording. It’ll show you a preview your recorded file. Again, remember, you won’t be able to hear anything since you have set the output source to Soundflower in the Sound setting of your Mac. So, you need to reverse the changes you did there (set the Sound output to speaker or headphones) and listen to your recording. If you are satisfied with your recording, save it on your desktop or something. And that’s it. Unlike other Mac’s app, you won’t find Soundflower in your Application folder. Instead, to uninstall Soundflower, just run the Uninstall Soundflower.scpt present in Soundflower folder. if you don’t have it, you can download it from the link above.